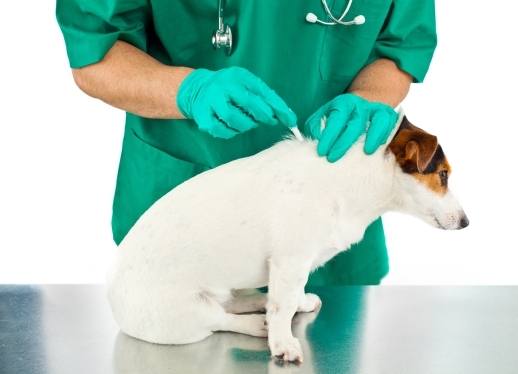 How Flea and Tick Medications Work? 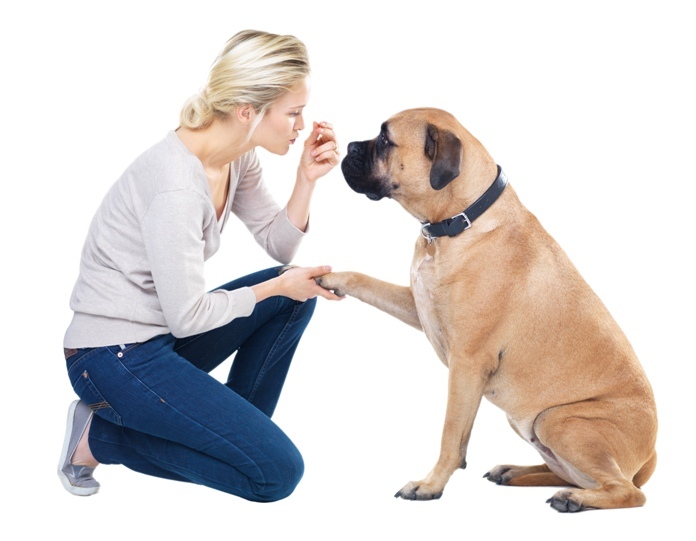 Fleas and ticks are two of the most troublesome insects living on the blood of animals. Before you undertake flea and tick treatment for your pet dogs, it is necessary to understand the insects, their life-cycle and diseases they spread. Flea and ticks are bloodsucking ectoparasites, i.e. external parasites that live and complete their life-cycle on the surface of the host animals. Dog Flea lives on a wide range of mammals, particularly the domestic dog and cat. The dog flea is troublesome because it can spread flea tapeworm and flea allergy dermatitis, the most common skin disease in dogs. Although fleas feed on blood of animals, they can also bite humans. Female fleas must have blood meal in order to produce eggs. They can deliver about 4000 eggs on the host’s fur. The eggs go through four life-cycle stages: embryo, larva, pupa and adult. 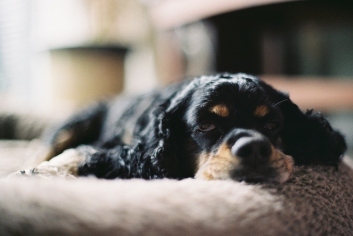 Itching and hair loss are the common symptoms in dogs. American Dog Tick or Wood Tick carries the bacteria responsible for a number of diseases in humans, including Rocky Mountain spotted fever and tularemia. Deer Tick is responsible for spread of Lyme disease in humans and dogs. The Brown Dog Tick produces lameness and fever in dogs. Animal furs provide an ideal breeding ground for fleas and ticks. It is physically impossible to remove these tiny insects. The most effective and long-lasting treatment is by application of synthetic chemical pesticides topically. When correctly applied they can be highly effective. 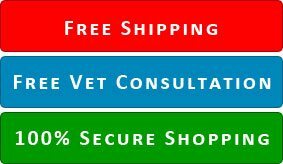 Frontline Plus for Dogs, a phenylpyrazole medicine contains Fipronil and (S) Methoprene, active ingredients that kills fleas and ticks within 12 to 48 hours of application. Synthetic pesticides usually come in concentrated oily formulations that spread from a pour-on applicator over the skin of animals. Fipronil slowly leaches through the skin onto the oil glands of the animals. Since Fipronil is soluble in oil, it continues to be released from hair follicles onto the skin, providing effective treatment for one month.